The best price of all. I know that the developers are constantly working to update the site and the apps, so it must be coming that there will be a fee for the app. But even it were a paid service I would use it (of course if it were reasonably priced). However for now it is completely free to use. There are costs for those who receive your text messages, but that is always a concern as "standard messaging rates apply." 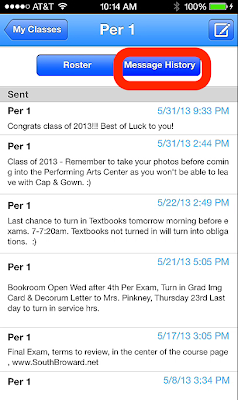 Most students have unlimited texting plans or limts so high that it doesn't matter. 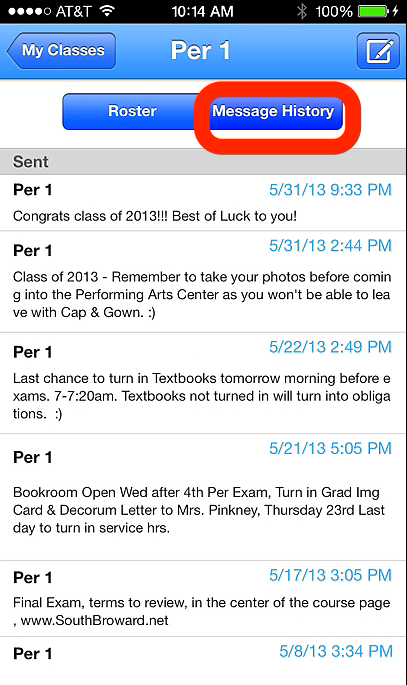 If used properly the students parents won't mind a few texts here and there. This is a feature that many parents seem to like. With all the craziness about inappropriate conduct of teachers in the news, the fact that a teacher can text students sounds like a scary prospect. 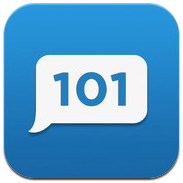 Remind 101 is safe particularly because the teacher cannot see any of the phone numbers of subscribers. The student when they text is asked to give their name. That name is the only identifying information that the teacher can see. 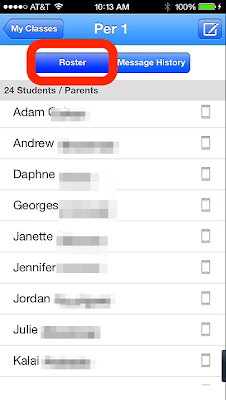 Also a tip for making this tool even more helpful and safe, get parents to sign up during Open House. 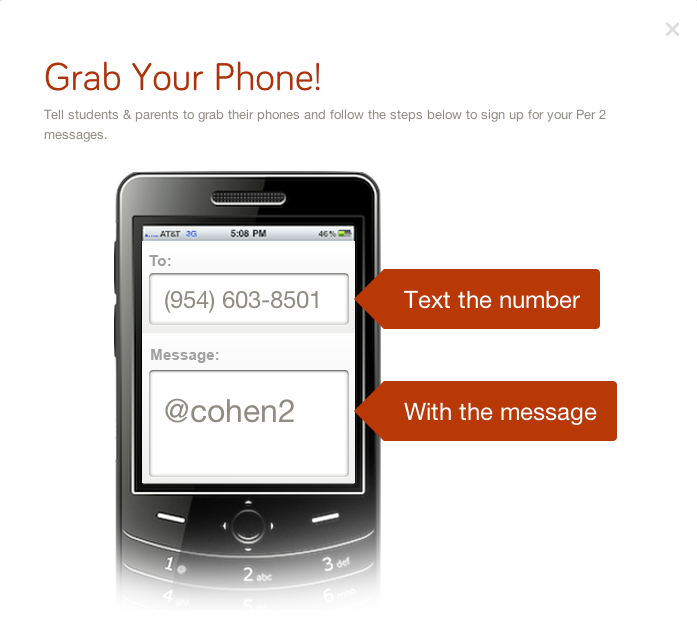 If students or parents don't have a cell phone, the service also allows for signups for reminders via Email. Students can't write back so that it is a one way communication tool, a weakness in some regard, but a strength when it comes to safety. 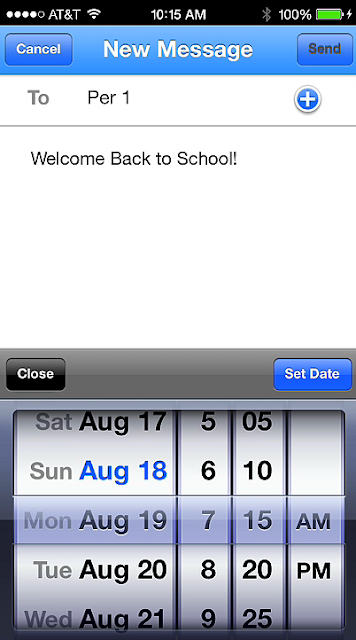 The service is easy for student, parents and teacher alike. In order to sign up, all the subscriber needs to do is send a text meesage to a specific number. Since I have been using the service they have even given me a number in the area code where I teach. 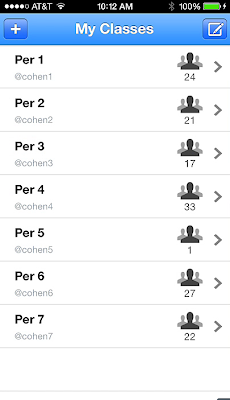 They will need to type in the class code because that will dictate which list they will end up in. 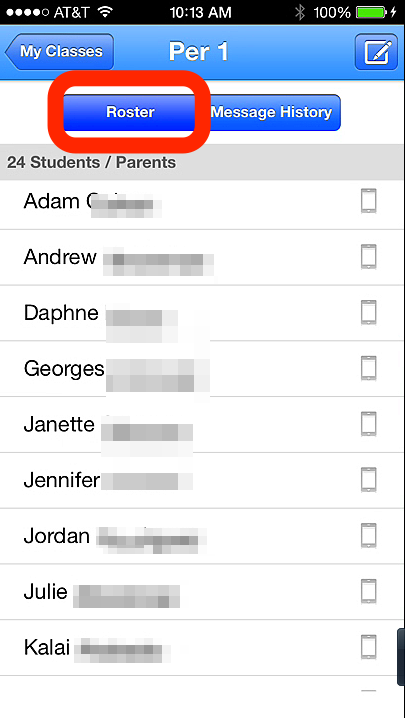 I keep separate lists for each class, so that I send more specific messages when necessary. 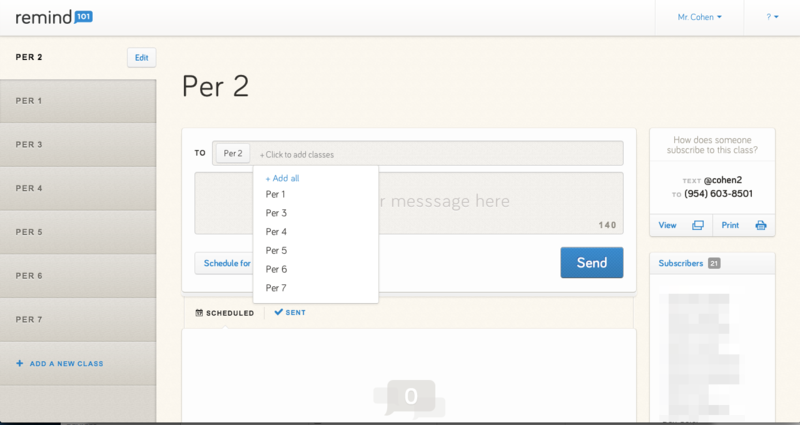 As the teacher you can send one message to all of your classes or to just the specific classes you desire. Message Multiple Classes by selecting them. 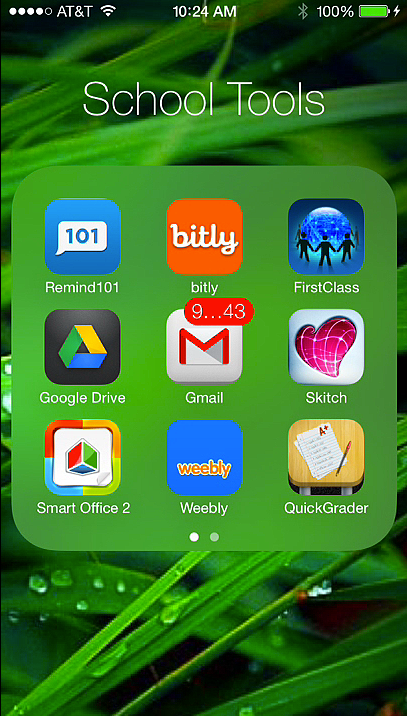 One my most frequently used apps during the school year. I love that I can send a reminder from anywhere, without having to be in front of a computer to do it. I must say that my turn in rates for homework increased and students were less likely to give me grief about how they forgot to do their homework, particularly because of this service. It's not that easy to forget when the teacher is texting you. I have an iPhone, and have only used that version of the app, but the app is available for Android as well. 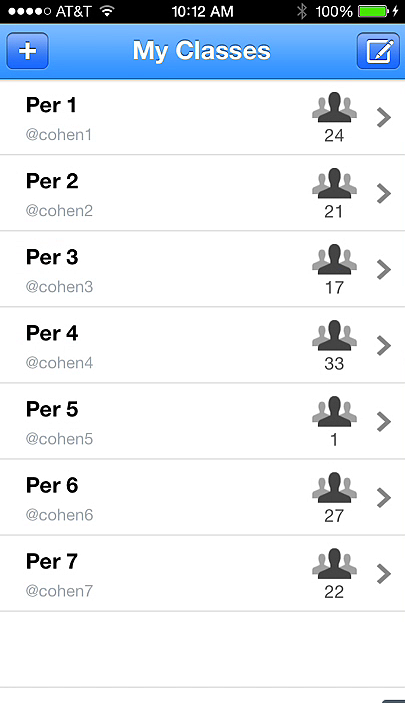 Students have given me great feedback about using the app. They really enjoyed that I would remind them, they often stated that they only were turning in homework thanks to the reminder. One word of caution though, don't over use it, meaning don't use it every single day. When I first started I used it more and more frequently and students began to be dependent on getting a text message. If I didn't text them, they would not remember. It had become too much of a crutch, so don't over do it. But in order to continue to meet our learners where they are, this service is a must. I would be glad to help you get set up if you are interested in using the app. Drop me a line at EdTech4Free (at) southbroward.net if you need help or have suggestions for other tools that I can add to my toolbox.